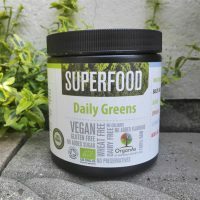 Recently I’ve been trying Daily Greens superfood powder from Organax and I’ve been really impressed with it. 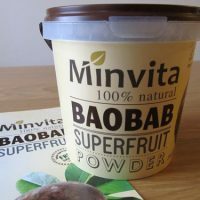 No horrible taste, organic ingredients, 100% natural, vegan and a heap of vitamins and minerals – I found this powder a great way of adding extra nutrients to my diet when I am busy and cannot always think of eating healthily. Organax Daily Resistance superfood powder is rich in antioxidants, carotenoids, flavonoids, polyphenols, Leucoanthocyanins and catechins properties which are vitally important in maintaining a healthy immune response. In the powder you will find plenty of natural vitamin C, B vitamins, manganese and magnesium. All the vitamins and minerals come from either organic greens blend or fruit and vegetable blend. In addition, the powder also contains reishi mushrooms which are proven to enhance the immune system, reduce inflammation and help to fight fatigue (more about their benefits here). Organic Alfalfa – rich in vitamins A,B,D,E & K; and minerals including iron, magnesium & potassium. Organic Grasses – Sea greens and fresh water plants, Organic Wheatgrass powder, Organic Barley grass powder, Organic Alfalfa powder, Organic Spirulina powder, Organic Chlorella powder, Organic Aloe Vera gel powder. To use Organax superfood powders, take one scoop and mix it into either a juice, non-dairy milk or a smoothie. I recommend using a rice milk which is naturally slightly sweet and it will offset any ‘green’ taste. And now onto a giveaway! One of the lucky readers will win two tubs of Organax superfood powders worth more than £50. 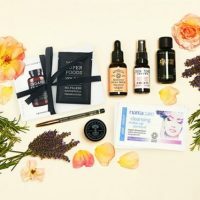 To enter, fill in the Rafflecopter widget below (use as many options as you can so that you can increase your chances of winning). The giveaway is open to UK residents only (age over 18) and ends on 31th July at 12:00am. Good luck! Disclaimer: Thank you to Organax who have kindly provided the prize for this giveaway. I was not offered any other compensation for this post. What a great alternative to the cost and effort of producing high quality vegan, gluten-free, healthy meals. Perfect for living on the go and still maintaining a natural, healthy diet. Rice milk is also a great serving suggestion if you want a little boost of sweetness!